Good Karma is the concept of reciprocity, and is similar to the Golden Rule. Some say “as you give, you will receive” or “what comes around goes around.” When you give of yourself – through volunteering, sharing and kindness – you generate Good Karma in the world. We offer the Good Karma Discount to make it easier for you to invest in your own health – regardless of your financial situation. If you are willing to share your time for the benefit of others, we are honored to have you here with us. Here’s how it works: Any client of the Ament Headache Center who gives four hours of his or her time to a local charity will receive $50 off the next visit. All are welcome to participate. You can do this once – or many times. The more you give, the more you will receive. Everyone benefits. 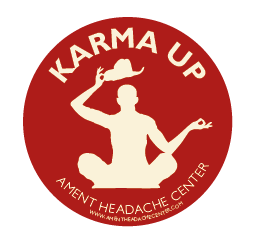 We call it the Good Karma Discount. Do you know someone suffering from debilitating headaches? Feel free to pass along our contact information. We’ll give you a $50 credit off your next visit for each new patient you refer to our clinic. PLUS, your friend will earn a $50 credit, too! Are you an artist, a skilled tradesperson or someone with other professional services to offer in exchange for medical services from a Denver neurologist? If so, let’s talk. 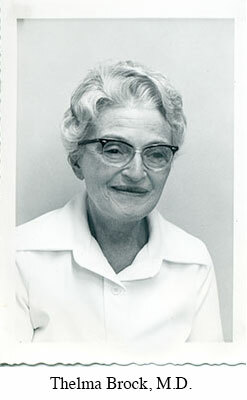 Dr. Ament’s grandmother, Thelma Brock, M.D. was a physician back in the 1930’s – a time of devastating epidemics and medical breakthroughs. It was also a time of the Great Depression, and a time before health insurance, which means many people had no means to pay for the care they needed. Tess Brock didn’t see a difference between the worth of a rich person and a poor person, or why some should get care while others suffered. Yet she also had a family to feed. So they struck bargains. Many of her patients paid with chickens, goats or whatever they could spare in order to receive necessary treatment. While there isn’t a lot of space in our waiting area for chickens and goats today, we respect and honor the tradition of service-for-service (or goods) exchange. We can’t promise that we can accept all offers, but we’re open to having the conversation.